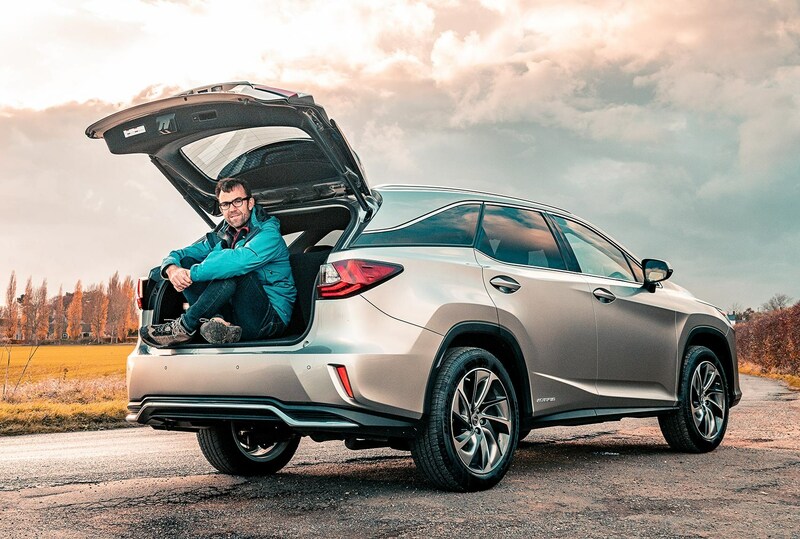 Crisp times: how does the Lexus RX L perform in winter? One month in and the Lexus and I are getting along just fine. After flirting on the launch in Switzerland, I was glad that the RX L lived up to my expectations on our second date in the UK. Everything was just how I remembered it. 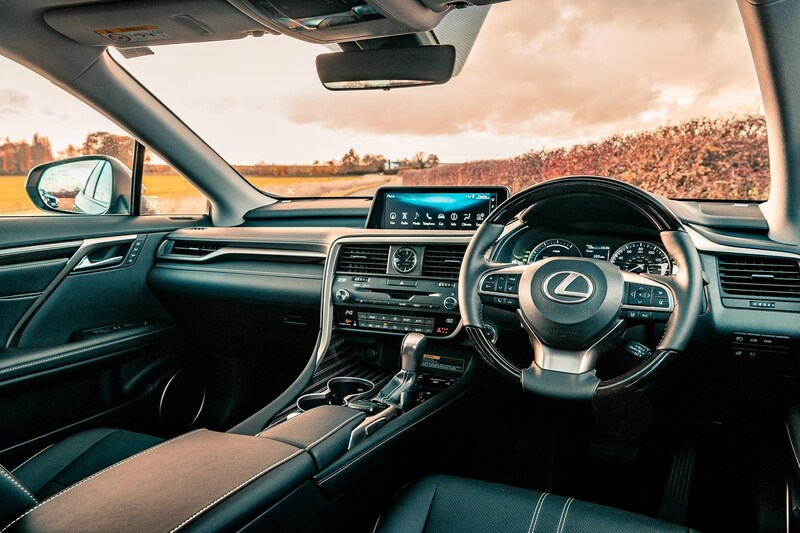 Driving the seven-seater is a lesson in calm, Lexussy transport: this is a car in which to cruise and glide, eggshells on the accelerator, schmoozing one’s way about daily duty with a hushed, hybrid serenity. Piloted thus, the RX is truly relaxing, with a comfy plump to its ride and a relaxed gait. This is getting the relationship off to a good start. Lexuses are at their best as waftmobiles and I find this one supremely relaxing every time I sink into the soft, ventilated armchairs and seek solace in the double-glazed cocoon. Get busy with the throttle and the age-old CVT thrash becomes apparent, but with a 3.5-litre V6 under the bonnet, at least it sounds richer than a four-cylinder Prius whine. The RX L is a remarkably quick car for a 2.2-tonne SUV as a result, but I’ll be keeping a close eye on fuel economy (25.4mpg so far) as this upsizing seems to go against the miniaturising trend. The UK has enjoyed a suprisingly mild winter, with only occasional cold snaps and little sign of 2018's Beast From The East returning (to the clement East Midlands, at least). But we've had enough sub-zero days and nights for us to have tested the Lexus RX L's cold-weather skills in earnest. The warm-up routine starts when you approach the car. At nighttime, the door handles' puddle lamps detect the key and switch on remotely as you're about 5m from the car, bathing the ground around in soft, diffuse light. A nice, welcoming touch. Keyless entry lets you slide in to the comfy leather seats, whose three-stage heating works a dream. Toasty bums all round - for those in the front at least (there are no rear-seat furnaces here, much to my children's chagrin). Tellingly, there are no namby-pamby armrest heaters, like on my last daily driver, Audi's equally long-wheelbase A8. Do I miss sizzling elbows? No I do not. The Lexus's steering wheel is heated too, though only the leather pads at 3 and 9 o'clock - leading to a rather strange, bipartite hot/cold matrix as you swivel the wheel when manoeuvring. It's a bit odd and still surprises me after four months together, the contrast between lava leather and chilled wood. There's no heated windscreen here, sadly, but the fans warm up quickly and demisting takes just a few minutes. 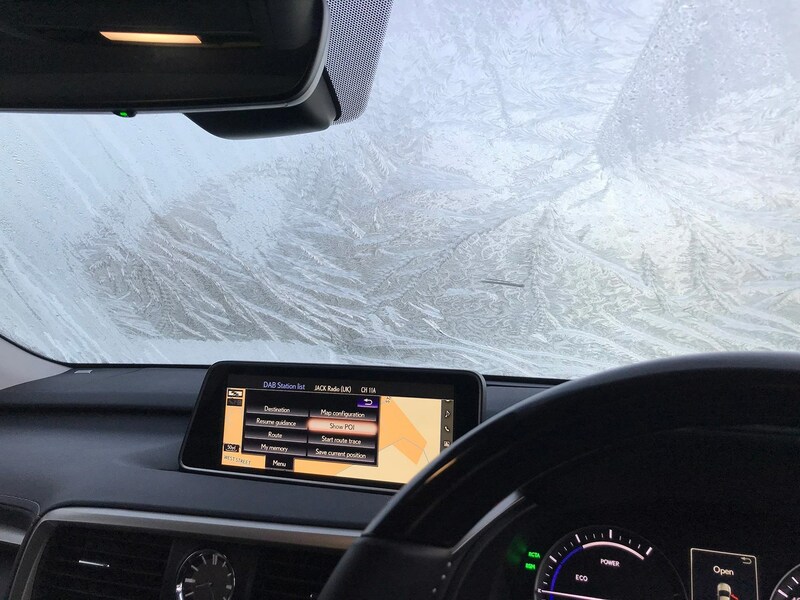 It's funny how quickly we're getting used to app-controlled in-car heaters on electrified cars, but there are no such tricks here. The Lexus's wipers work with well-programmed, properly engineered sweeping efficiency, clearing rain, splatter and ice with ease. Note also how the rear blade is a proper size, unlike the miniaturised wiper adorning a Lexus CT's rump. Have you seen the hatchback's wiper? Check it out next time you see one and marvel at its diminutive reach. Although we've had very little snow that's settled, we've had enough icy mornings to test the RX's traction out. Even on those big 20-inch Bridgestone tyres, the Lexus seven-seater has put nary a foot wrong. The hybrid's power delivery and character encourage smooth driving at the best of times and not once have we seen the traction control flicker. It's surefooted, safe and cocooning transport at this slip-slidey, grimy time of year. 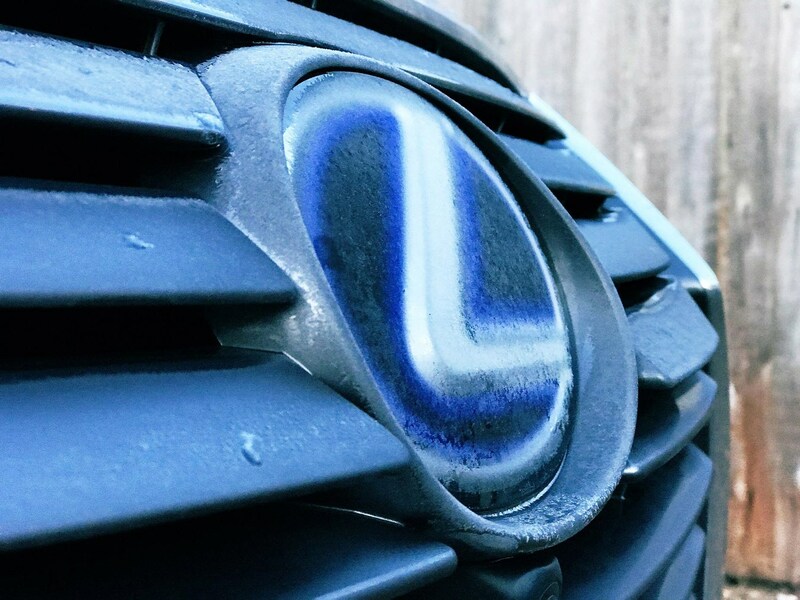 Lexus 1, winter 0. 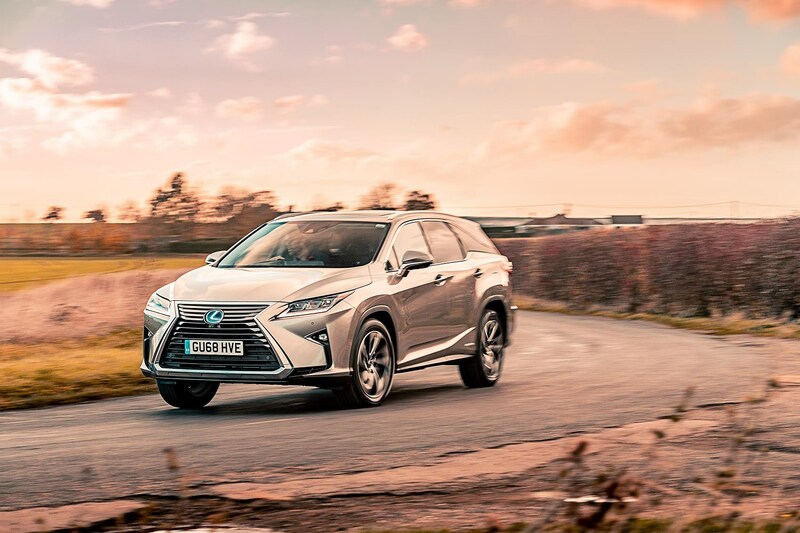 The new Lexus RX L ticks lots of in-vogue boxes: from its crossover silhouette to its seven-seat multi-practical package; from the design-chic Lexus premium badge to its bang-on-trend electrified hybrid powertrain. It’s a wonder you don’t see more Lexus petrol-electric cars on the road (brand sales were 13 times smaller than BMW’s or Mercedes’ last year), as it seems to answer a lot of questions that modern car buyers ask of a vehicle. I’ve been one of those drivers who got away. I’ve never lived with a Lexus for an extended period in 21 years of road testing. Now’s the time to put that right. Having attended the global launch of the newly stretched RX450h L in Switzerland last summer, I was rather taken by the peculiarly styled SUV. I know its limitations (what on first acquaintance seems like a hopeless infotainment system not designed for Western European fingers or sensibilities), but was still won over by a deeper, more fundamental quality. I like this. While other manufacturers chase sporting dynamism over all else, following faddish trends or pursuing pointless Nordschleife lap times, I’ve long admired Lexus’s devotion to a simpler objective: to build distinctive cars of the utmost quality, powered by unerringly modish petrol-electric hybrid powertrains with pampering interiors and a focus on outright quality – of cabin materials, mechanical and electronic reliability and dealer service. Isn’t that a laudable objective? It’s barely changed in the brand’s three decades on this planet and I must confess to worrying a little whenever new managers come along and profess a desire to add sporting intent to the Lexus lexicon. Cars like the fizzy LC coupe and LFA supercar are all well and good, but this sensible RX is surely where the brand’s centre of gravity lies. The RX L’s additional 110mm length is enough to make this the brand’s first seven-seater in Europe. We’ll be testing that third row of seats with family duties and school runs, while the enlarged boot stretches to a cavernous 966 litres in five-seater mode (or 495 with seven seats in place). It’s a huge space. As a dad of two with a new dog, I like this. Ours comes in Premier spec, which means it’s absolutely loaded. Only two options are fitted (metallic paint and electric sunroof), taking the price to £63,635. The bronzed Sonic Titanium paintwork is so far doing a fantastic job of looking bright and resisting the winter smear. Whatever your take on the chiselled, pointy styling, it’s certainly distinctive. First impressions are that this will be a comfy, reliable, pampering and roomy six months. Isn’t that what family transport should be? But there are a lot of questions to be answered – which is exactly what the CAR long-term test procedure is designed for. 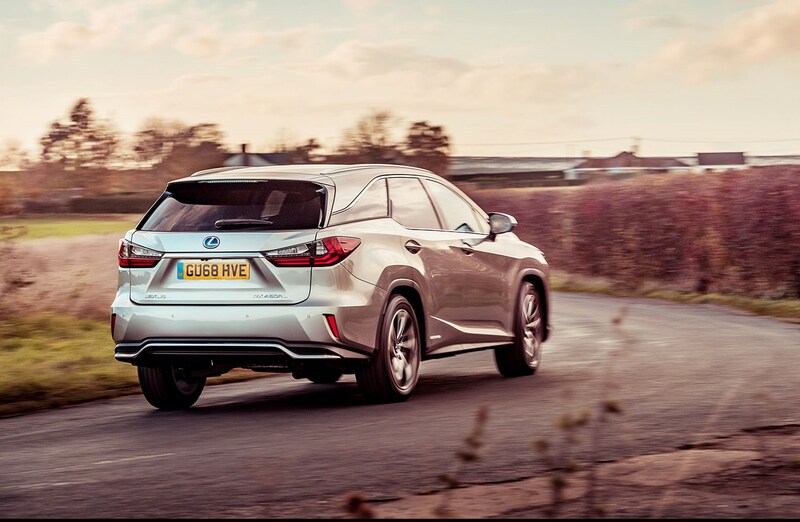 Can a petrol-electric hybrid SUV prove economical in the real world (Lexus quotes 47.1mpg combined economy and 138g/km of CO2)? Is there enough dynamism to go with the luxury and practicality? Can I possibly learn to live with – let alone like – the joystick-operated infotainment? In short, should you consider a Lexus ahead of similar products from the Germans or Brits? I suspect 2019 is going to be rather relaxing, laid-back and Lexusy. I find this strangely calming. My blood pressure is receding even as I write about it.